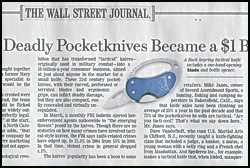 July 25, 2016: Knife Rights was born ten years ago today after I read an outrageous and highly inflammatory article headlining the Wall Street Journal, entitled “How New, Deadly Pocketknives Became a $1 Billion Business” demonizing so-called “tactical knives.” A discredit to the Journal, the overwrought and sensationalist article was filled with distortions, misrepresentations, innuendo, outright lies and cherry-picked quotes pushing a transparent rabid anti-weapon and anti-freedom agenda. But, the story didn’t quite spark the anti-knife response the reporter probably hoped for — in fact, it had precisely the opposite effect. 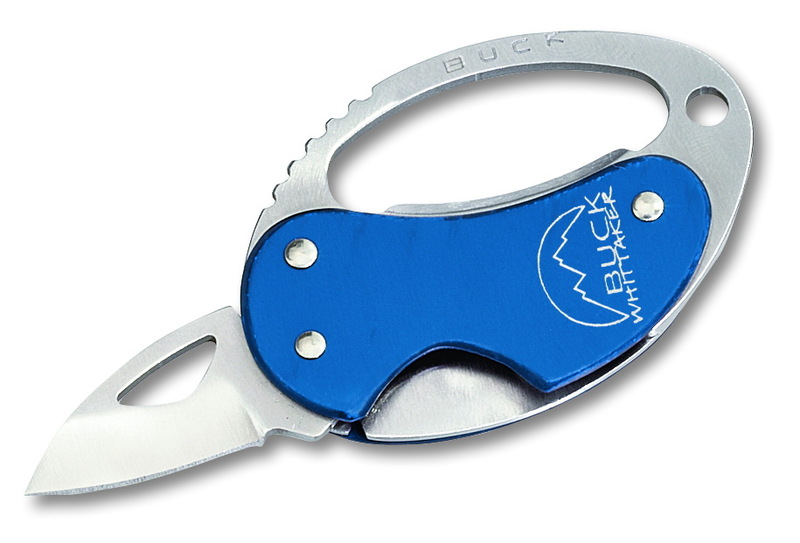 One wonders what the editors were thinking when they chose to illustrate that fateful article with their poster child for evil and dangerous “tactical knives” – a diminutive Buck Knives “Metro” lock-blade keychain folding knife / bottle opener with a 1.125-inch one-hand opening blade. In any case, it demonstrates the absurd idiocy of assigning malevolence to an inanimate object based on physical characteristics. No knife is inherently “deadly” — that’s an irrational and nonsensical label. A cornerstone of Knife Rights’ principles is that inanimate objects like knives must be used by someone against another in order to become deadly weapons. Even then, often they are used for self-defense, not offensively. Knives are simply essential everyday tools used by millions of Americans at home, at work and at play and occasionally they are “arms” used to protect a life. Removing knives from statutory lists of per se (intrinsically) “deadly weapons” is an ongoing goal of Knife Rights. It took a few years to get our legs under us, but in 2009 Knife Rights provided the key grassroots knife owner’s component of a coalition of groups that opposed U.S. Customs’ efforts to redefine a switchblade to include these same one-hand opening knives. The end result was that Congress passed a fifth exception to the Federal Switchblade Act that protected one-hand opening and assisted-opening folding knives. Springboarding off that success, in 2010 we began our efforts to rewrite knife law at the state level. Knife Rights passed the nation’s first ever outright repeal of a state knife ban (switchblades, dirks, daggers and stilettos) in New Hampshire and the nation’s first ever Knife Law Preemption bill in Arizona, ridding the state of its inconsistent patchwork of local knife restrictions. This proved all the naysayers wrong; those who said it couldn’t be done. UPDATED 2018: 29 PRO-KNIFE BILLS PASSED IN 21 STATES! Knife Rights has also been active in federal and state courts protecting and advancing knife owners’ rights. Never backing down from a challenge, our first lawsuit filed five years ago took on New York City’s persecution of retailers and tens of thousands of knife owners carrying common pocketknives. While that lawsuit is still ongoing, we’ve been involved in one way or another with a dozen other lawsuits or trials where knife owners’ rights were imperiled. We have been on the prevailing side in every one! Knife Rights is The One Getting It Done™ for knife owners in America. With the generous support of many of you reading this, our success is unprecedented, unparalleled and unrivaled. However, we cannot rest on our past wins. The fight continues and it takes money to accomplish what we do. Your donations are the engine that drives us forward. 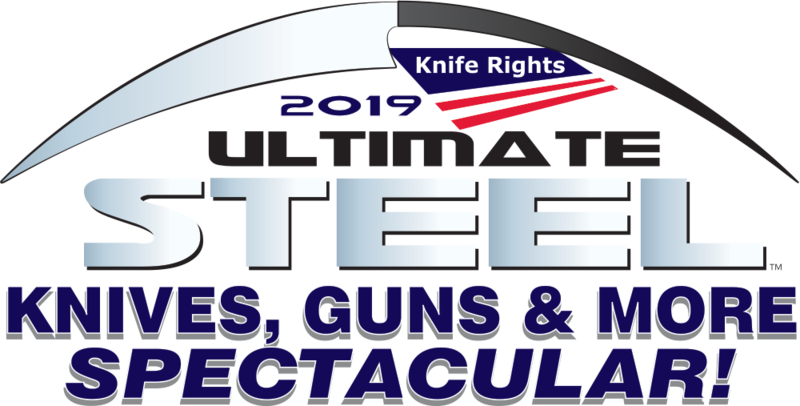 Help celebrate a decade of Knife Rights’ unprecedented achievements by making a donation or joining to become a member. Help keep us fighting for your freedoms. And, thank you so much for your dedication to our cause!